Home » Latest News » Boil-water order ends in D.C.
Boil-water order ends in D.C. 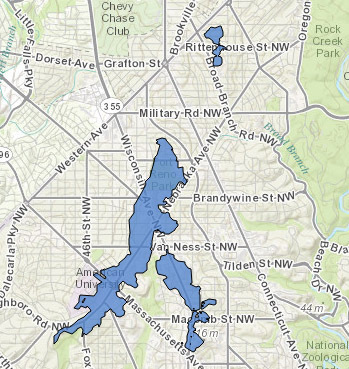 The boil water advisory in Northwest D.C. has been lifted by DC Water. Customers no longer have to boil their tap water. They can use their water for all purposes. DC Water says the drinking water meets water quality standards. WASHINGTON — Some DC Water customers, including students at American University, are being asked to boil their water for at least 1 minute before drinking it, making coffee with it or brushing their teeth with it. The boil-water advisory for about 1,000 customers mainly west and southwest of Rock Creek Park will continue Thursday and possibly into Friday too. The problem began with a power outage Wednesday at the Fort Reno Pumping Station that caused a drop in water pressure. Some customers lost water service; others had low water pressure. All service has since been restored, but to be extra careful, a boil-water advisory was issued Wednesday and Hawkins explained why it may take some time before it’s lifted. Wednesday night, affected customers received robocalls, and informational cards were delivered to them explaining the situation and what to do. Hawkins says it’s OK for customers affected by the advisory to take showers and do laundry. Because of the water outage, school breakfasts weren’t served at the following D.C. Public Schools: Hearst Elementary School, Janney Elementary School; Lafayette Elementary School; Mann Elementary School; Murch Elementary School; Deal Middle School; and Wilson High School. The schools will have bottled water, limited lunch options. D.C. Water also offered the following instructions to prepare water. Bring water to a rolling boil for 1 minute. Allow water to cool before using. Store cooled water in a clean container with a cover. For a list of affected addresses, click here. For a list of frequently asked questions and answers about the boil advisory, click here.